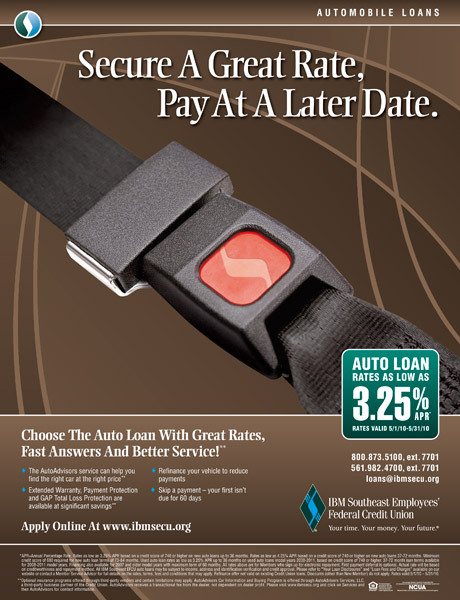 Credit Union Marketing: IBM Southeast Employees' Federal Credit Union Auto Loan Promotion Exceeds Expectations! 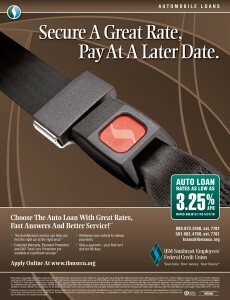 Credit Union Marketing: IBM Southeast Employees’ Federal Credit Union Auto Loan Promotion Exceeds Expectations! 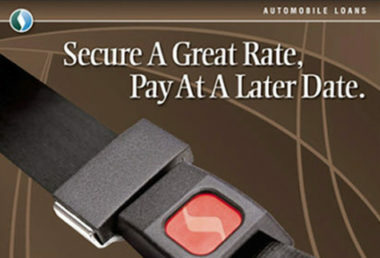 IBM Southeast Employees’ Federal Credit Union offers Auto Loans with rates as low as 3.25% APR. During this recent Auto Loan promotion, IBM Southeast Employees’ Federal Credit Union Members were invited to apply for an auto loan that promised great rates, fast answers and better service…and apply they did! This extremely successful campaign exceeded all expectations. MDG Advertising handles all creative, collateral design, direct mail, email marketing, sales collateral, member and in-branch promotions, and media buying for the 22 branches of IBM Southeast Employees’ Credit Union located throughout Florida, Georgia and Alabama. Michael Del Gigante is president and executive creative director of MDG Advertising in Boca Raton, Florida. MDG Advertising is a full-service South Florida advertising agency, with offices in Florida and New York, that specializes in developing targeted internet solutions, exceptional creative executions, and solid branding and media buying strategies that give clients a real competitive advantage. For more contact MDG Advertising.